The scene is familiar. A family is sitting around a table, in a well-appointed eighteenthcentury dining space. Only if you look closely, and only if you know what to look for, do you realize that this is a Passover seder. The caption below the image, “the Passover meal,” is for everyone else. Around the table sits a family, with their servant, all finely dressed—these are, after all, the wealthy Portuguese Jews of Amsterdam—and with their heads covered, both the men and the women. All except for one, that is: on the far left sits a man who follows along with the reading of the Haggadah, but bare-headed. This is likely the artist, Bernard Picart. Picart’s engravings of Jewish scenes—such as the interior of the Spanish-Portuguese synagogue in Amsterdam, the blowing of the shofar, the parade of the four species on Sukkot, the search for leaven, and the ritual implements of marriage and circumcision—are well known, widely collected, and heavily anthologized. But who was this artist? Why did he make these pictures? And what explains the intimacy and friendly sensitivity to an alien faith? These questions mark the obvious, and best-known, tip of a large and fascinating iceberg. Picart was an artist who was born in France in 1673 and as an adult emigrated to the Netherlands as part of the great Huguenot exile after the revocation in 1685 of the almost-tolerationist Edict of Nantes (which had been promulgated in 1598 to end the French civil wars of religion). The images come from a vast work called Religious Ceremonies of the World, a survey of the customs of the world’s religions, which was published in nine huge volumes of texts (3,000 pages) and images (600 of them scattered over 250 engraved pages) in Amsterdam between 1723 and 1743 by the printer Jean Frédéric Bernard. Picart died in 1733, before the final volume rolled off the press, but Bernard lasted a decade longer, and saw the whole completed. Though Picart was the name on the title page, he and Bernard share equal billing in Lynn Hunt, Margaret C. Jacob, and Wijnand Mijnhardt’s wonderful new book, which is itself the “biography of a book.” As such, The Book That Changed Europe represents the culmination of recent scholarly trends in the history of the book, the history of toleration, micro-history, the history of Enlightenment, and the “new” early modern Jewish history. But can a book really change the world? Many of us—most, perhaps?—believe that an encounter with a book, at the right time and place, can change a life, because we know it from personal experience. And most of us are probably willing to acknowledge the world historical impact of a few books—Uncle Tom’s Cabin, Herzl’s Old New Land, Paine’s Common Sense spring to mind. But a book that is today still unknown even to most scholars? Over the past two decades, scholars have made “book history” a vehicle for reflecting on how books function not simply as vessels for content, but also as material artifacts, political entities, and collaborative venues. Like a prism, when we look at a book we now see many colors where before it was all black and white. Our authors approach Bernard and Picart, the printer and the engraver, with all these questions in mind. They unearth and piece together their biographies, and use these to explain the nature of the Huguenot diaspora and the role of Holland as a haven for freethinkers and printers (often one and the same), and introduce us to contemporary debates about Spinoza. Moreover, the authors are not only skilled researchers, but also sensitive readers of these sources. They show how Bernard and Picart, each in his own medium, achieved their intentions by manipulating existing materials and the expectations of their audiences. Texts that might have discussed the reliance of Christians upon earlier pagan forms in a neutral way were highlighted by Bernard. If earlier illustrators chose to depict non-Europeans as cruel barbarians, Picart chose to emphasize those of their customs that seemed most familiar, and least in accord with those stereotypes. The emphasis on printing and print culture reflects the last decade’s scholarly revival of interest in artisans, and in the give-and-take between scholarly and commercial contexts. This initiative has yielded a huge gain in our knowledge of the past. It also has potentially large implications for our sense of what makes change. The authors claim that “given his contributions to innovations in publishing and his undeniable originality as a thinker, Bernard may be considered one of the founders of the European Enlightenment. His work dispels a longstanding assumption about early modern knowledge production.” In this broader perspective, it is not only the giants—Voltaire and Hume and the rest—who are the Enlightenment, but also those like Bernard and Picart who literally made enlightenment. IT IS HERE that Guy G. Stroumsa’s fine book offers a useful corrective. By focusing on sixteenth- and seventeenth-century antiquarian scholarship on religion, which swiftly moved to incorporate the latest ethnographic data on the principle that going far away in space helped one go back far away in time, he shows that Picart and Bernard were in fact the end point of a much longer transition. And this was a transition spearheaded by the Casaubons of European scholarship, the “dead from the waist down” researchers who wrested all sorts of obscure details from the claws of ever-ravenous time. To understand Picart, Stroumsa implies, we need to understand the revolution in Renaissance philology and comparatism. And Stroumsa makes the point that the philological comparison comes before the comparison between manners and mores, and that the sequence is necessary. The specific way in which Religious Ceremonies of the World functioned as an agent of change was by focusing on rituals—and hence depiction becomes not only possible, but desirable. If everyone has some ritual for birth or death or marriage, then religion appears as a universal phenomenon, and a given religion but a local manifestation of it. Comparison could work to diminish feelings of uniqueness and superiority. Toleration, we are told, followed from this. The turn to ritual, in Stroumsa’s account, occurred in the seventeenth century. By later in the eighteenth century, the pendulum of interest was already swinging back to words and texts. More precisely, following Stroumsa, we might describe the momentous change facilitated by Religious Ceremonies of the World as the crossing over into the world of popular readership of ideas that had been developed by, for, and in the austere world of scholars. This, so the argument goes, made people less likely to get angry enough about others’ deviant practices to kill them. And this, our authors tell us, was the “aim” of Bernard and Picart. “Thanks to efforts like theirs religion would cease to be the most central issue on the European agenda.” I fear that the authors’ enthusiasm for their subject has led them to overstate their claims. There is a rather old-fashioned “secularization thesis” lurking here amid Hunt, Jacob, and Mijnhardt’s otherwise more subtle cutting-edge scholarship. RELIGIOUS CEREMONIES OF THE WORLD begins its nine-volume odyssey with the Jews. 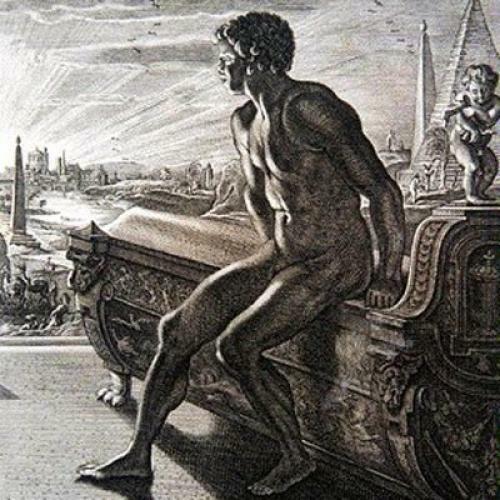 Picart’s engravings of Jewish scenes are his most celebrated. He did most of them himself, based on first-hand observation of the community in Amsterdam (as in the seder at the Curiel home). The depictions of other peoples’ rituals were often re-engraved from existing materials. Sometimes Picart did either the drawing or the engraving, but not both. But with the Jewish materials he was more engaged. And by virtue of location and sympathy—it is in these engravings that Hunt, Jacob, and Mijnhardt’s case for a visual hermeneutics is most successful—the depiction of Jews seems to play a central role in advancing what our authors see as the tolerationist agenda of Picart and Bernard’s great work. This alerts us to yet another of the bellwether features of this book. Along with everything else, the attention to early modern Jews, and the recognition of how important they were to early modern Christians, is highly significant. It is probably fair to say that the early modern Jewish experience is no longer the sole property of Jewish historians. Now intellectual and cultural historians, and increasingly younger ones armed with Hebrew and Aramaic, as well as Greek, Latin, and modern languages, are discerning the ways in which our generation’s questions about scholarship and social history can be answered, and sometimes answered better, within the framework of Jewish sources. Early modern Jewish history is on the brink of becoming something that all historians need to know about, as has happened already with the history of women, blacks, and homosexuals. ONE OF THE most exciting things about The Book That Changed Europe is that it may serve as a model of how historians should read images. The view of its authors is that the engravings are linked to the text, “but they are not just auxiliaries to it.” Hunt and her colleagues are very good at reading Picart to show the subtlety involved in how he chose the image to give to readers. His approach is essentially to “Europeanize” the natives. Even where the text went down arcane byroads, the images stayed focused on the high road: birth, marriage, death, and processions. Thus, in the section on Islam, twenty-two of the twenty-six folio-page engravings illustrate customs and religious ceremonies, even though they cover only 47 of the 291 pages. In this way the images shifted the discussion from a question of truth revealed to a select few to an issue of wider comparative practices. Why are the images so necessary? If we compare this book to the seventeenth-century literature discussed by Stroumsa, the answer becomes clear. The same project of popularization that moves away from a learned language (Latin) and audience (professors) makes the use of images desirable: they offer a direct connection to the imagination. The broader social process that gave birth to what people today call the “public sphere,” “civil society,” or “commercial society” broadened the reading public, and gave a new meaning to “society.” Publishing was a huge engine of this development. New literary genres such as travel writing, biography, and the novel, and new kinds of books, especially illustrated ones, were essential means of communication. Bernard even went so far as to put Picart’s name on the title page, not his own. The publishing tycoon realized that the book would sell better because of the pictures—even after the huge expense of copperplate engraving was accounted for. (It did: in 1738 alone, Religious Ceremonies of the World sold three thousand copies.) The image as a means of communication to a mass audience and its role in the transformation of scholarly argumentation was real—then, as in the lasting appeal of Athanasius Kircher’s otherwise obscurophilic tomes, or the lasting place of Piranesi, and now, in our age of mass digitalization. The other really exciting thing about this book is signaled on one of those pages that is usually read more for gossip than for Wissenschaft. The dedication is to David Brafman, curator of the Rare Books collection at the Getty Research Institute. This is a collaborative project about a collaborative project. As anyone who has collaborated knows, it is not the easy path, and certainly not when it involves many institutions. Yet the Getty Research Institute, the Clark Library of UCLA, the Huntington Library, and Utrecht University got together to sponsor not only a conference and publications, but also a website that facilitates reading and close examination of the illustrations in this book, in all four of its different editions. It is especially heartening to see professors working with curators such as Brafman. Though every research university in this country, and many of its liberal arts colleges, have learned curators and librarians on staff, very few of them incorporate teaching as part of their job descriptions rather than as adjuncts at the beck and call of the academic departments—always the top of the food chain. As a result, the vast store of knowledge possessed by curators remains locked up and inaccessible to students and scholars alike. This book, hopefully, will encourage other professors, other curators, and other university and museum administrators to engage in the kind of beneficial communication which, as our authors show, existed in Amsterdam in 1710 and was still possible in Los Angeles in 2010. Peter N. Miller is dean of the Bard Graduate Center and the author of Peiresc’s Europe: Learning and Virtue in the Seventeenth Century (Yale University Press). This article originally ran in the August 18, 2011, issue of the magazine.